Have you ever lost an important object? Are you taking on a new job? Looking for buried treasure? 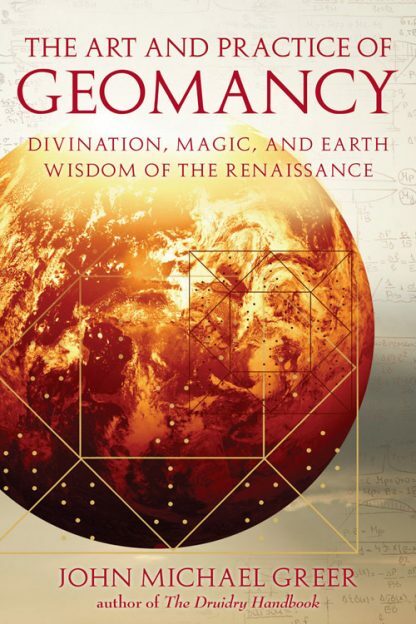 The Art and Practice of Geomancy teaches readers how to divine the answers to life's everyday questions about health, luck, new jobs, and love, as well as those less mundane tasks such as finding buried treasure, predicting the weather, being released from prison, and identifying secret enemies. Greer delivers to readers an ancient system of divination in an easy-to-use form requiring little more than a pen and a piece of paper. Using a system of counting odd and even numbers -- from a deck of cards, a roll of the dice, or even by hitting sand or dirt with a stick to generate patterns -- readers learn how to cast their own geomantic chart. And for those who wish to delve further, he offers exercises for geomantic meditation and ritual magic. The Art and Practice of Geomancy will appeal to pagans, followers of the Western Mystery tradition, scholars of folk magic and divination, and anyone who wants to take their past, present, and future into their own hands. Each geomantic chart is, in a certain sense, a snapshot of one set of possibilities arising from the dance of the four elements in the anima mundi and a sense of the dance itself -- even if that sense is imperfect, as it may be, and wordless, as it must be -- provides the context for every geomantic reading. * A complete guide to Geomancy. Includes the history, how-to, and divinatory practices. * John Michael Greer is a known expert in the fi eld of earth magic, and a dynamic speaker and lecturer.